Novo Brdo Fortress was built by Stefan Milutin, King of Serbia. 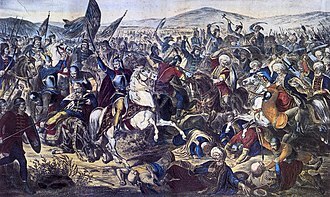 It has been referred as the "Mother of all Serbian cities"
Battle of Kosovo fought in 1389 between Serbs and Ottomans. 1870 Adam Stefanović painting.